Olivia is a piglet. She has a brother called Ian and a brother called William. She has a dog called Perty and a cat called Edwin. Every morning Olivia gets up, moves the cat, brushes her teeth, combs her ears, moves the cat and gets dressed, she has lots of clothes and she has to try them all on! On sunny days Olivia enoys going to the beach. Last summer Olivia learnt how to make sandcastles, now she can make colassal ones!! She likes to bask in the sun, but when she has had enough they go home. Olivia is supposed to have a nap, but she is never tired. On rainy days, Olivia likes to go to the museum, she normally heads straight to her favourite painting then they go to see a painting that she doesn’t understand. When they go home, Olivia paints on the wall!! Then she sits on the naughty step, then she has a bath, then a nice dinner, soon it’s time for bed. 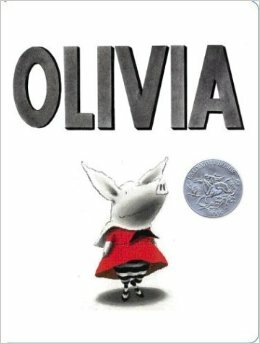 But of course, Olivia isn’t tired, she wants five books, but she only gets three. I really love this book, because I love reading it to my sister, and she loves looking at the pictures!! We make a great team! !